Visit A2 Hosting for 3.92/Month!!! A2 Hosting Review: A2 Hosting offers several web hosting products and services. Whether you are looking for shared hosting, reseller hosting, VPS Hosting or Dedicated Server hosting A2 has a web hosting package that will suit your needs. The A2 Hosting shared web hosting packages come in two choices, a StartUp and Executive package, both of which offer unlimited disk space and bandwidth. Both shared web hosting plans include an amazing amount of features, perfect for a personal or small website. 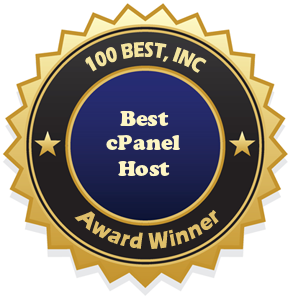 Both shared hosting plans come with the most up to date version of cPanel, one of the most popular control panels available in the web hosting market today. For those interested in A2 Hostings reseller program, you have the option of 3 shared hosting packages. These packages include all of the main features included in the shared hosting plans, the only difference is the amount of disk space and monthly data transfer you receive. A2 Hosting Virtual Private Server (VPS) packages come in 4 different choices. The biggest differences being in the amount of dedicated memory (RAM), burstable memory, disk space, monthly data transfer, and number of IP addresses. All of these VPS Hosting packages, except the Core Plan, include cPanel, WHM, and Softaculous. The A2 Hosting Dedicated Server Hosting is available in 3 options. You can choose to have 2, 4, or 8 core processors with 2, 4, or 8 GB RAM. And 1000, 2000, or 4000GB monthly data transfer. All A2 Hosting products and services are backed by 24/7/265 support desk via email, live chat, a toll free USA/Canada telephone number, or available internationally at a regular phone number. Statement From A2 Hosting: Our customers have gotten used to getting "something more". Something more as in Linux hosting features like our server backup technology Server Rewind. Something more as in hosting services like Guru Crew Hosting Support. That something more like confidence your site will be available because of A2 Hosting's 99.9% Uptime guarantee. The A2 Hosting Difference � that something more that you will find here.